Hi everyone, welcome to english-learning.net . 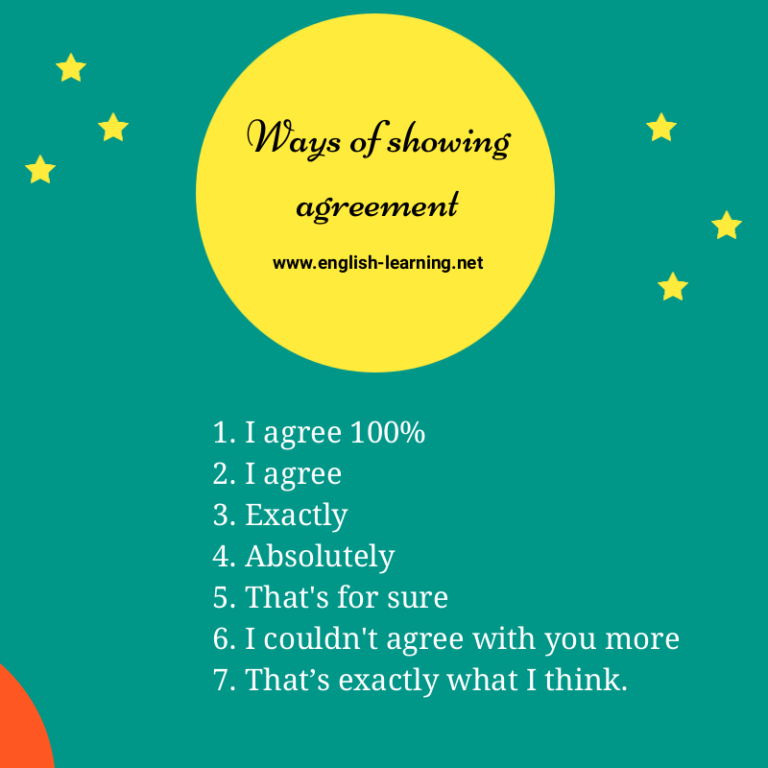 I hope you’re well today, In this lesson, we’re going to learn different ways to show agreement. I think we should book the tickets early. For the next meeting, let’s have it in a coffee shop instead of the meeting room. Young people tend to do the opposite of what we tell them to do. Hey Ron, I’m going picnic this afternoon, Can I borrow your sunglasses? This expression basically means you surely agree with what people say, it is often used to reply to a request or suggestion. Callum, is it possible for me to ask for leave now? 6. I couldn’t agree with you more. I have to say Paris is the most beautiful and romantic city. Yes, I’ve been there and I couldn’t agree with you more. 7. That’s exactly what I think. / That’s exactly how I feel.